The former residence of the British equivalent of Oskar Schindler has recently undergone renovations work. Throughout the entirety of the 1930’s Otto Schiff was in charge of the Jewish Refugees Committee and responsible for securing the entry of Jews fleeing Germany and Austria. The committee supported the refugees and Otto Schiff even used his Netherhall Gardens estate as a sanctuary. The property itself was built in 1888, and was sold in 2010 to a Jewish Care Group where it has now been converted into 14 flats split between Schiffs original house and a newly built adjacent pavilion with each flat valued up to £5m. As part of the renovation, a boundary perimeter was agreed as of the design work which would need to encompass the original property as well as the adjacent pavilion. Alpha Rail was contracted to install bespoke metal railings and gates that would add a boundary perimeter to the Netherhall Gardens estate. The project involved installation of vertical bar metal railings set into diamond drilled holes into the perimeter red brick wall. A combination of 800mm and 1100mm high metal railings were used and mounted using hollow section mounting posts. The railings were finished with a Fleur-de-lis style rail head finial. Alpha Rail also manufactured and installed 35 metres of internal staircore balustrade featuring fixed timber handrails. We also supplied 1100mm balcony railings which were installed to a 1st floor outdoor patio area. 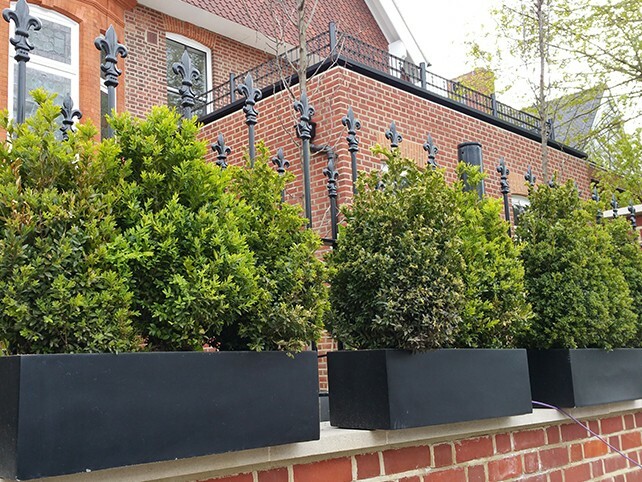 All metalwork was supplied galvanised and polyester powder coated black RAL 9005. "It was an honour to work on a residential property that has such historical significance. 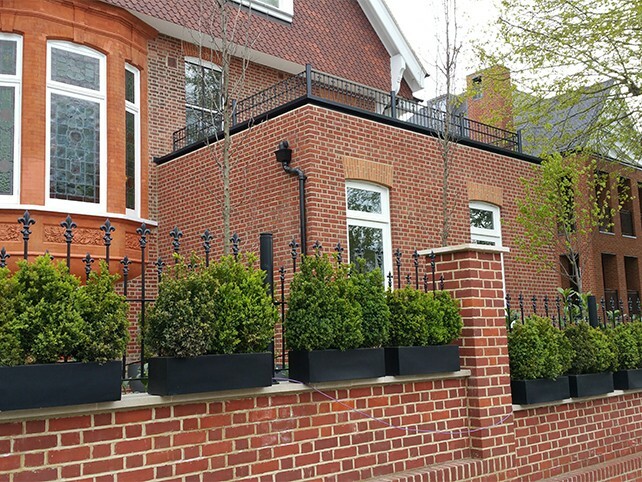 I am very pleased that the architectural metalwork we installed has really helped to retain the aesthetics of this fantastic property."